Looking for the area's Hot Spot to Chill? Clematis by Night is it! Chill out South Florida style at this highly-popular, award-winning weekly Fountainside Concert Series. This event draws thousands of folks from all walks of life and features the area's best rock, r&b, reggae, blues, soul, swing and Latin music. 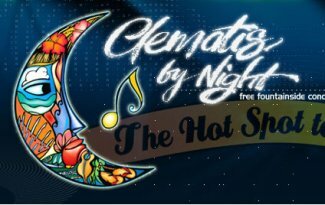 Clematis by Night is the place to be for great live music, a taste of mouth-watering foods, and sidewalk shopping of the trendiest items around. Every Thursday, 6:00 - 9:30 p.m.